All of above wolud be ready in Nov. Relax Soundscapes Lite was submitted on 04.25.13. This is a lite version and including 32 soundscapes. The lite version is full of features of original version and without iAD. Do you ever have any problem with sleep or relax? Try Relax Soundscapes. Relax Soundscapes would not only provide you most relaxing and meditation ambient soundscapes and also provide simple daily life noise which is useful for concentration, focus, ADD(ADHD) and sleep assistance. We also have the Aerating Water soundscape which is useful when baby crying. ※ 32 high quality ambient soundscapes in app. ※ 10 high quality ambient alarm sounds. ※ Easy to mix your own ambient soundscapes. ※ Mix your favorite soundscapes with different volume. ※ Full iPhone 5 support. ※ Multiple alarms and timers supported. ※ App runs in the background. ● 4 language support: French, German, Spanish, and Japanese. ● Fix the issue: the alarm does not work properly on background mode. ● Add back-up alarm when app is running in background mode. 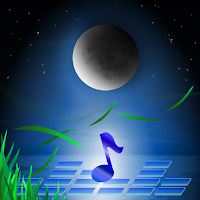 The Relax Soundscapes 1.1.0 is ready for sale in App Stroe. Please update the old version to 1.1.0. Go to Relax Soundscapes in App Store. Note: We found there are few users encounter the app crash after updating the Relax Soundscapes from 1.0.0. to 1.1.0. If it happens, you can remove it and re-install it to solve this problem. ◎ Support Language: Chinese (Simplified) and Chinese (Traditional). ◎ Fix some minor defect. ◎ Get rid off annoying download, all soundscapes are in app now. ◎ Retired one annoying sound. ● Dear My name iz bob! Thank you for your review and bugs report. We have addressed the issue when version 1.1.0 released, it will be fixed ASAP. In our plan, we will provide more relaxing soundscapes and retire some soundscapes by user experience in the future. Any suggestions of this app are welcome. We are happy to announce our first app, Relax Soundscapes which is ready for sale in App Stroe. You can find it on the App Store. Go to Relax Soundscapes in App Store. Do you have any problem with sleep or relax? Try Relax Soundscapes. We also have the Aerating Water soundscapes which is useful when baby crying. ※ 50 high quality ambient soundscapes in app. ※ 10+ high quality ambient soundscapes are all free to download. Our webpage is still under construction.